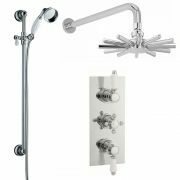 This Hudson Reed thermostatic shower system is a superb choice to deliver a touch of designer style to any bathroom. 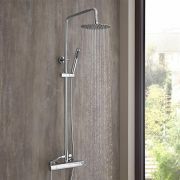 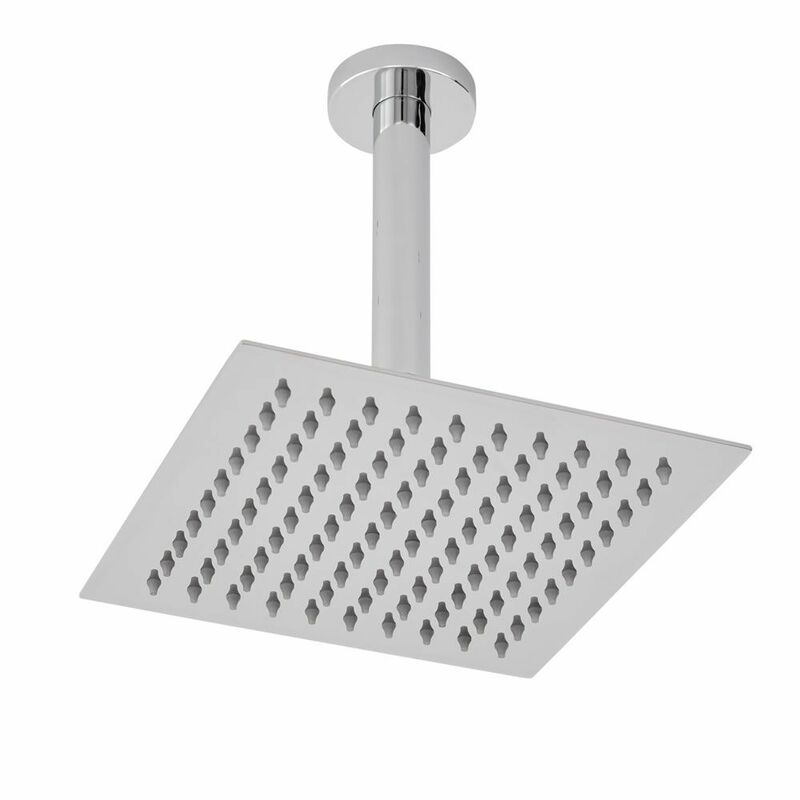 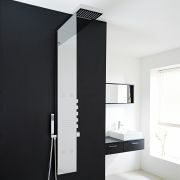 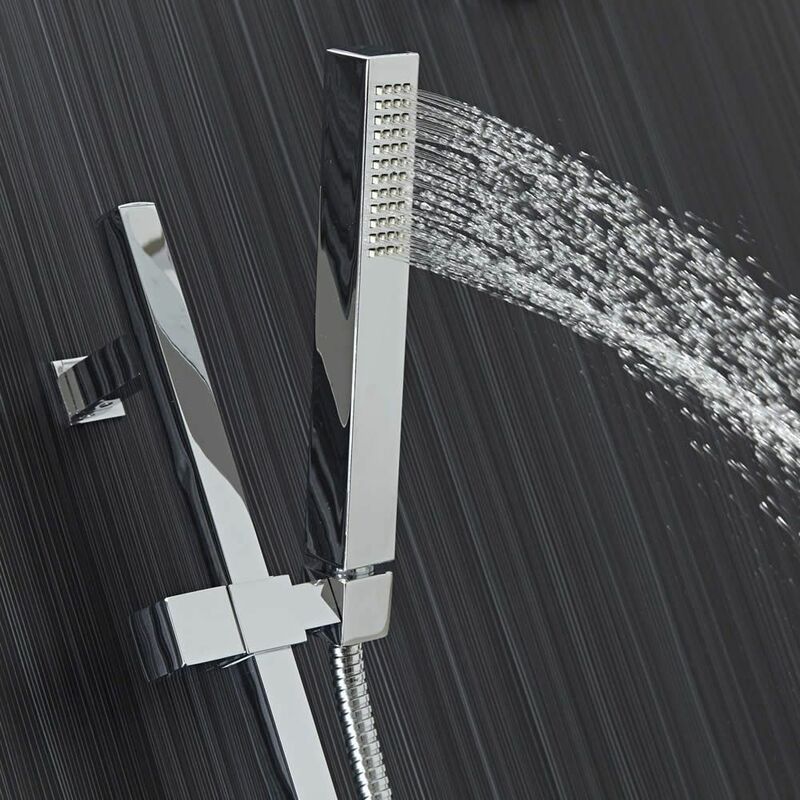 The shower system features the 8” square shower head with ceiling mounted arm, a slide rail kit and shut-off valves. 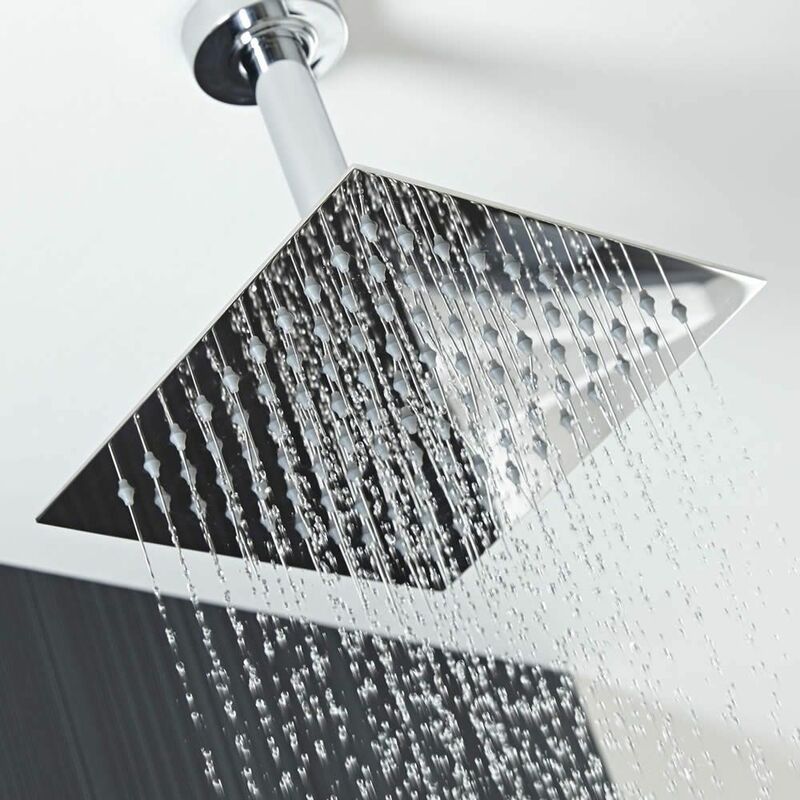 Exclusively constructed in Great Britain, the solid brass shut-off valves incorporate anti-scald technology to guarantee a safer showering experience. 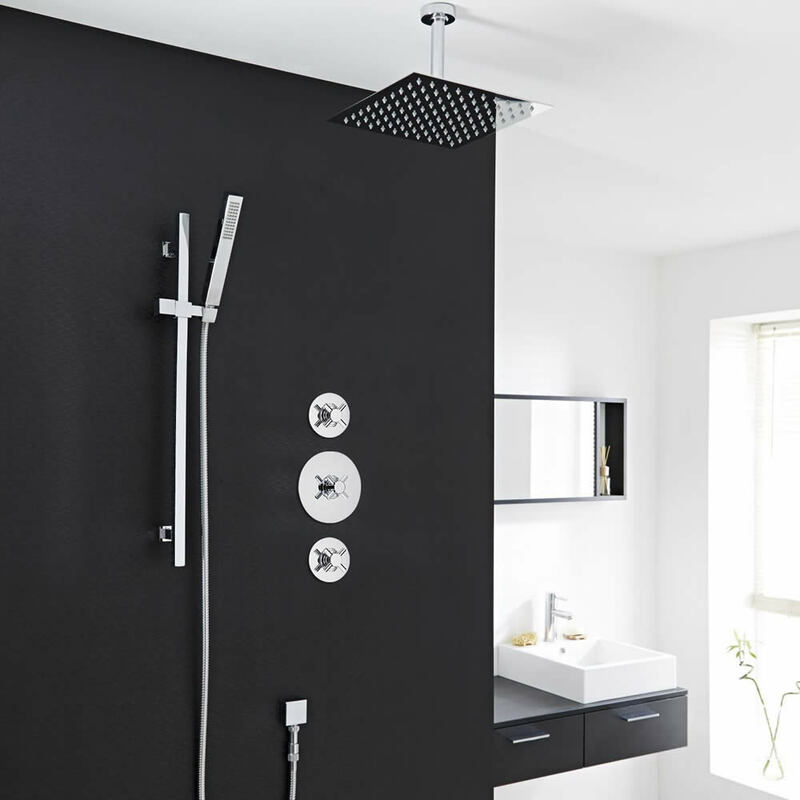 They allow the user to enjoy the operation of both outlets at once. 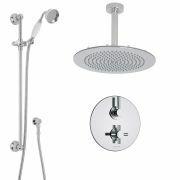 The fixed head offers a refreshing rainfall effect that is certain to awaken your senses, and the slide rail kit comes complete with the handset, hose and outlet elbow. 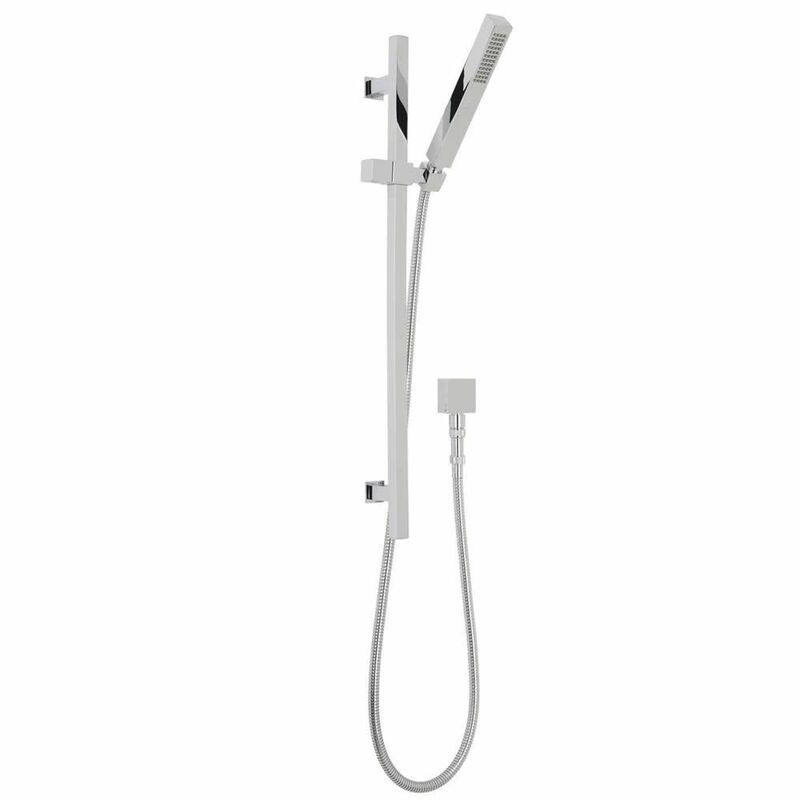 It is easily adjustable to your preferred height.